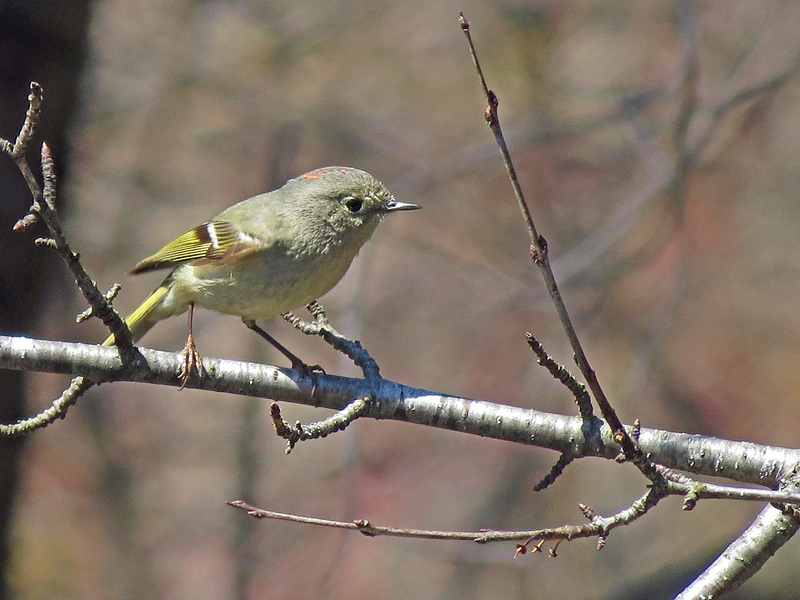 The male Ruby Crowned Kinglet is a tiny stub-tailed birdlet with olive-gray color above, strong wing bars, a broken white eye-ring, and a scarlet crown patch. 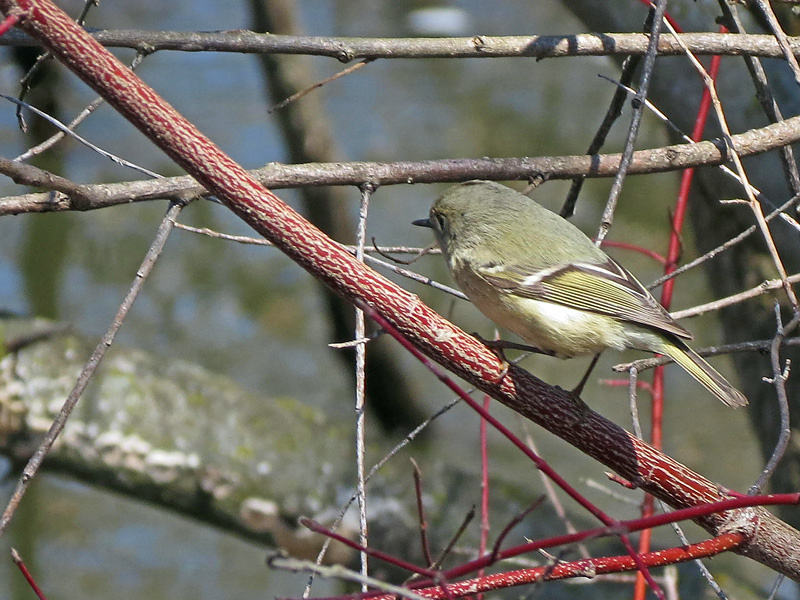 The female is similar to the male except for the scarlet crown patch missing. The male scarlet crown patch may usually be concealed, but is erect when excited. They have small slender bills. They have a range from southern Alaska, Canada, United States, to Guatemala. The habitat is mostly at conifer trees, but during migration they are found in other dense deciduous trees. The diet is mostly tiny insects. They are difficult to photograph as they are constantly flicking their wings and flittering about within dense surroundings.